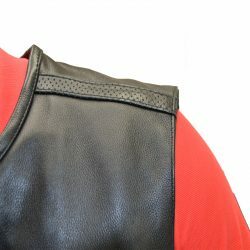 Our men’s speedster motorcycle club vest contains concealed carry on both sides along with a strap for the gun and extra strap for clip. 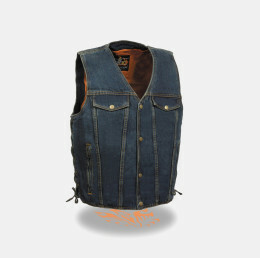 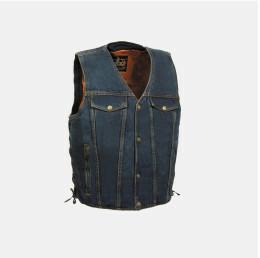 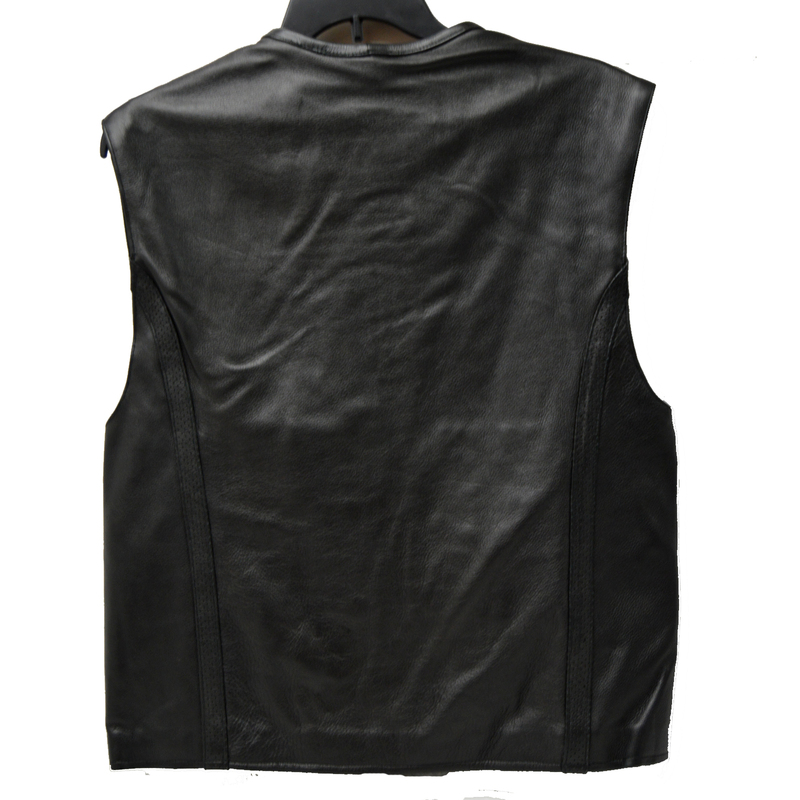 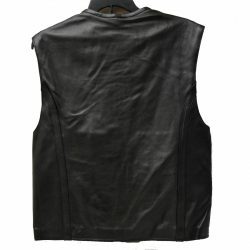 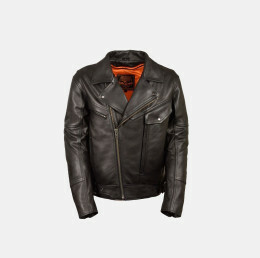 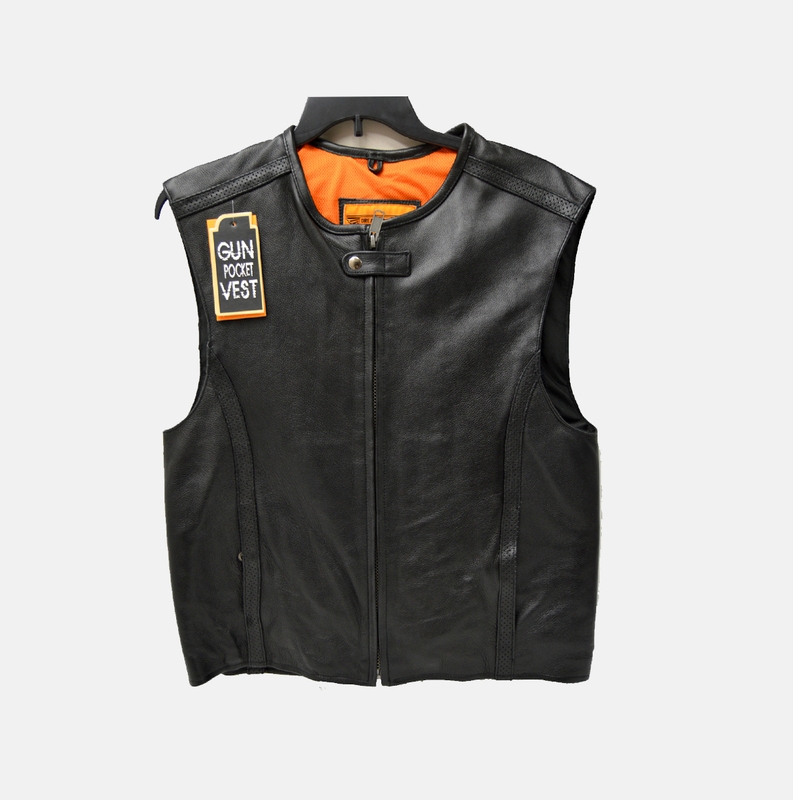 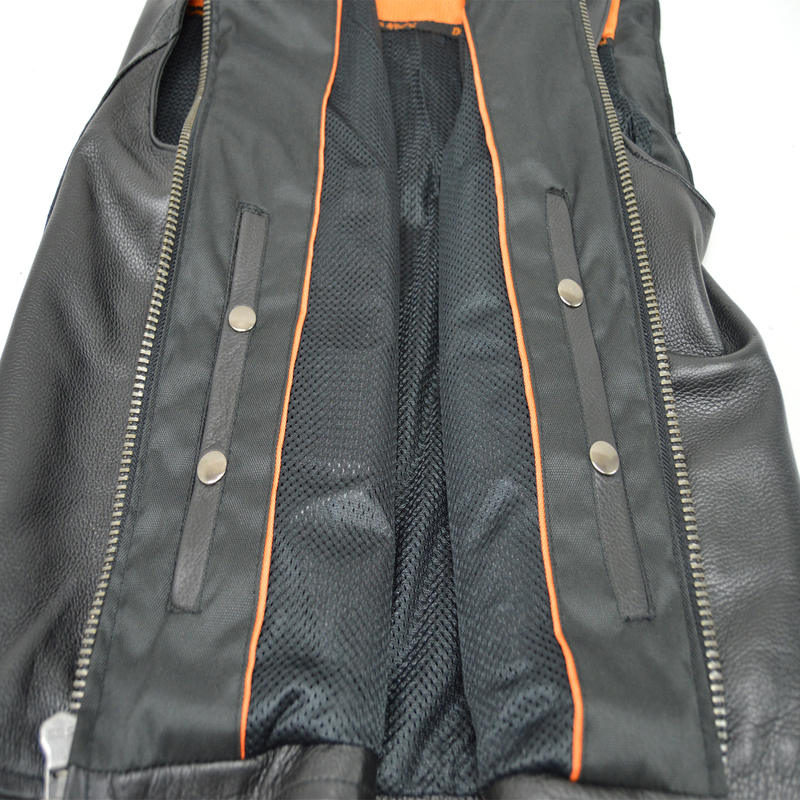 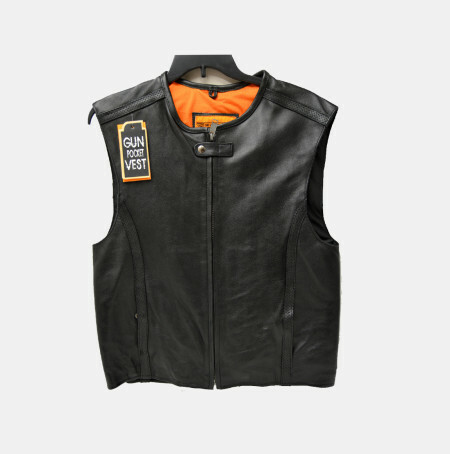 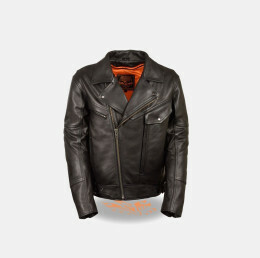 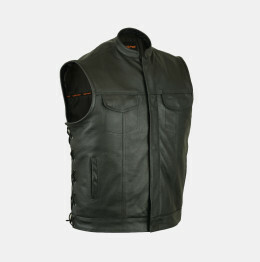 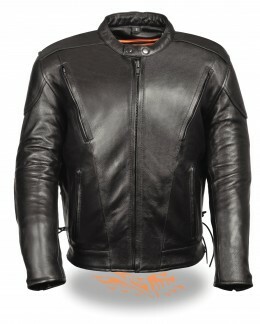 The vest is made from soft cowhide leather. 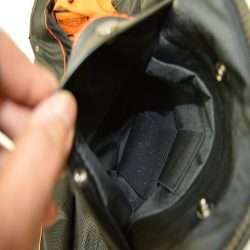 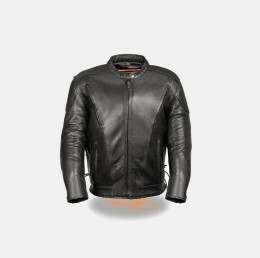 The zippered snaps closure prevents the zipper from opening at high speeds.